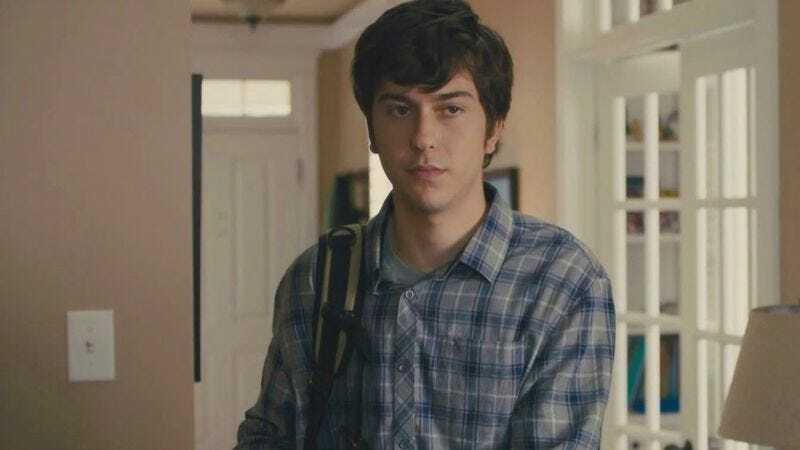 As reported by Variety, Paper Towns star Nat Wolff is ditching the dramatic teens of John Green adaptations for the murderous teens of anime/manga adaptations. That’s because Wolff is “in final negotiations” to star in Death Note, the American movie version of a manga that has already been turned into an anime series and a couple of movies in Japan. Wolff’s character will be a young guy (named Light in the original) who finds a magical notebook that kills anyone whose name is written into it. He starts off with noble intentions by only killing people who he thinks deserve to die, but all of those mysterious murders eventually draw the attention of a police officer who tries to track him down and stop him. Also, there are supernatural death gods who live off of killing people, because the premise wasn’t weird enough already. The Guest’s Adam Wingard is still signed on to direct, from a script by Fantastic Four’s Jeremy Slater.